Sometimes you just throw something together quick and it works out in all the perfect ways. Prepare pasta of choice. Slice and dice an avocado, mix with juice of one lime, salt to taste, one minced onion and 2 chopped oranges which have been zested to add additional flavor to the dish. 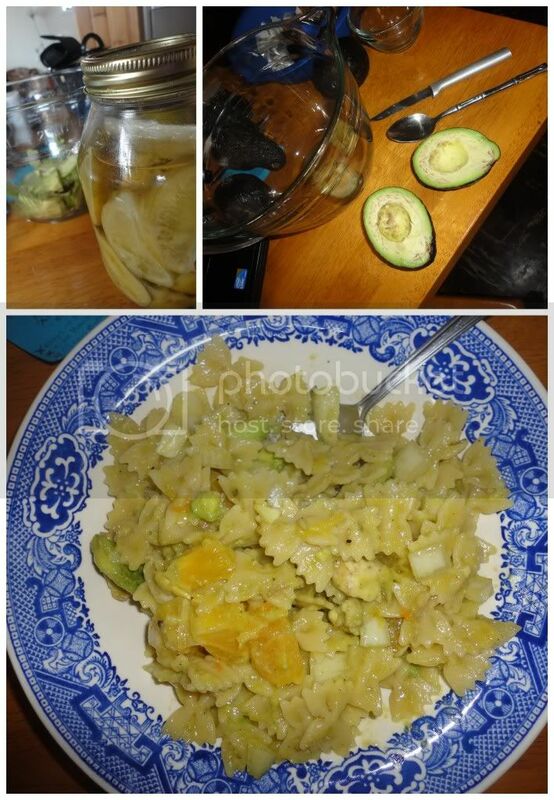 Add pasta to the avocado-orange mixture, mix - let set for a few moments before serving and devouring. Probably fits spring/summer better, but...when you dive...what can you do?